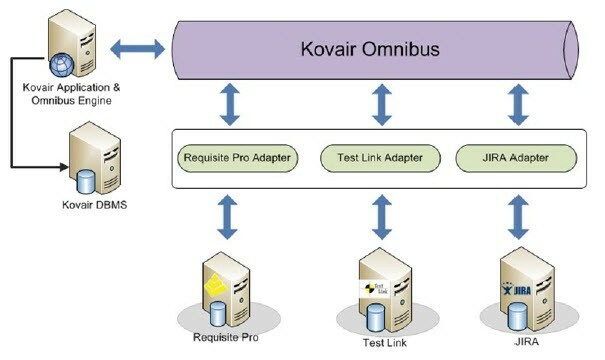 Kovair Omnibus platform has a seamless integration with TestLink through the ‘Kovair TestLink Integration Adapter’. This supports bidirectional integration that enables TestLink data to be accessed from any other ALM tools that are connected to the Kovair Omnibus Integration Platform. The integration with TestLink answers some of the common questions pertaining to software development lifecycle. Which requirements do we still need to write or update test cases for? Which tests do we need to run for a particular version of the software? Which are the test cases currently failing, and what are the errors in them? Is this version of the product fit for the release? 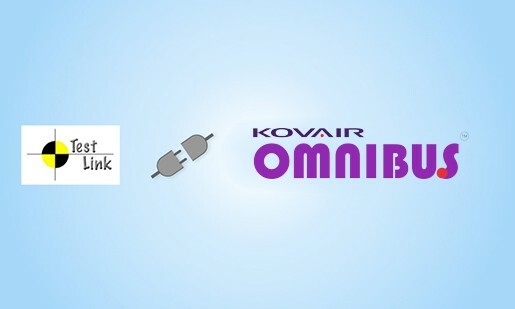 The Kovair TestLink Integration Adapter enables collaboration among team members by integrating the tools they use through Omnibus platform. For example, Requirements Management can be done through various best-of-breed tools such as IBM RRC, DOORS, RequisitePro; and this integration enables routing of all the Requirements from various tools to TestLink. The requirements are synchronized with the source tools to make sure that the Test team always works on the latest requirements. Similarly, TestLink data can be synchronized with MS TFS, IBM RTC, HP ALM, and other popular ALM tools. Tests managed in TestLink can also be linked to Defects being managed in popular Defect Management tools such as JIRA, Bugzilla. Test execution manual tests and results can be updated from TestLink to any of the integrated tools through the Omnibus ecosystem. In addition, users can also synchronize the test cases to any other Test Management tool, such as HPQC. Thus, the test cases (manual and automated) can be executed in QC and the result can be synced back to the original artifact in TestLink. This integration with TestLink makes it possible to maintain true end-to-end traceability linking all the relevant objects of ALM such as Releases, Requirements, Designs, Code Files, Test Suites, Test Cases, Test Executions and Defects, irrespective of the tools used to manage each of them. The TestLink adapter also allows synchronizing the entire hierarchy of objects in TestLink with tools like Microsoft Test Manager, HP ALM and Kovair. An organization uses RequisitePro for Requirements Management, TestLink for Test Management and JIRA for Defect Management. When a requirement is reviewed and approved in RequisitePro, it automatically creates a Test Requirement in TestLink. The Test Requirement gets linked to the Test Plan and Test Case. The Tester then creates the relevant steps in TestLink pertaining to the Requirement. The Test Case is finally executed in TestLink. If the Test execution fails, it automatically creates a defect in JIRA. The Requirements, Test Plans, Test Cases, Test Runs and Defects are linked to each other and can be viewed as a complete Traceability chain in Kovair. When all the Test Cases for a Requirement are executed and related Defects are ‘Fixed’, the status of the Requirement in TestLink and RequisitePro automatically changes to ‘Implemented’. Allows team members to create end-to- end Traceability between Releases, Requirements, Designs, Code, Tests, Builds and Defects. Enables Execution of automated test cases in tools like HPQC and QTP and gets the results back to TestLink. Keeps track of changes made in different artifacts across multi-vendor tools. Enables Process Automation so that failures of Tests in TestLink can generate Tasks for different users for corrective actions. Allows users to create Requirements in various tools and map them with Test Cases by using Assign Requirement. Flexible, customizable, and automated workflows. Support for all types of artifacts from TestLink. User-defined mapping of artifact attributes from TestLink to other tools, and vice versa. Support for bidirectional synchronization of artifact relationships. Event-Action based integration rules that are easy to understand and maintain.